April 20th has a special place in the hearts of cannabis lovers everywhere, and for good reason. It’s a celebration of all things cannabis, good and bad. We have come a long way from the prohibition days, and over half the states in the U.S. have legalized or decriminalized cannabis in some form. While for some, “420 Blaze it” will be the chant they yell at 4:20 on 4/20, others aren’t so gung-ho on expressing their love for cannabis to the world, but rather just enjoying the day with some festivities. 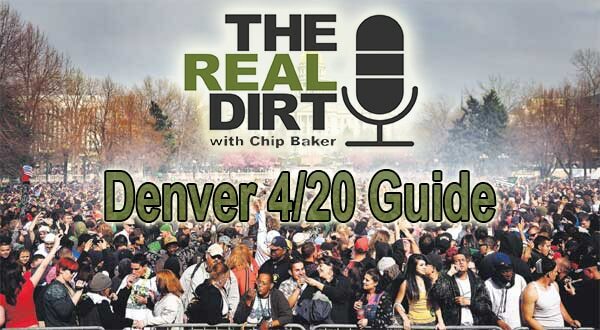 When it comes to finding something to do on 4/20 other than just blaze, The Real Dirt has your back. Check out our recommended 4/20 events in Denver for 2018. You might not be able to go to them all, but a couple of these events will add some much needed activities to your smoke-filled day so you aren’t left on the couch in a hazy state of FOMO. Probably the most well-known (and most hyped) event going on for the 4/20 weekend is 420 on the Block. The music festival and cannabis celebration goes from Friday the 20th to Sunday the 22nd, with three days packed full of events and activities for the community to enjoy. Featuring Action Bronson, Matisyahu, Washed Out and more live artists, the event boasts some of the biggest 4/20 names. If you are willing to shell out some bucks (only ~$60 for all 3 days, or $25 for one day), you can get the full Denver 420 blaze it experience with awesome live music, plenty of vendors and giveaways, and one of the largest coming togethers of the cannabis community in Denver. If you’re looking to save your money for the important things (like more quality ganja), check out the Mile High 420 Festival at Civic Center Park in Denver. Featuring Lil Wayne, Lil Jon and a bunch of local acts, the festival is free for everyone with plenty of stuff to do. Boasting itself as the largest, free 420 festival on Earth, the festival takes up the full Civic Center Park with vendors, arts and crafts and more. The event runs from 10AM to 7PM on 4/20, so you can stop by at the beginning or swing through toward the end without having to worry about a ticket. 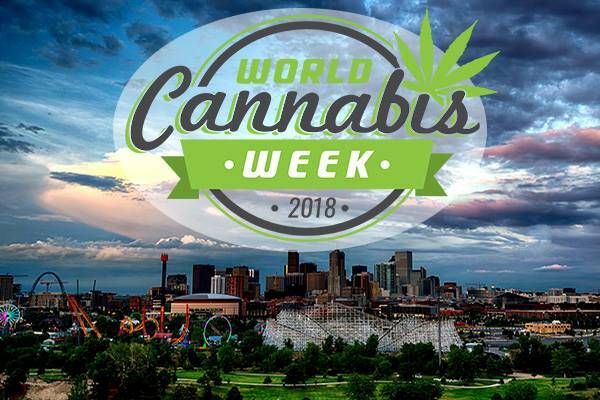 While not an actual week-long event, World Cannabis Week goes from 4/20-4/22. The event takes place at the Fox Street Compound in Denver’s RiNo district. Starting with a 420 Bazaar featuring a plethora of cannabis brands and products in an open marketplace and ending on Sunday with a 420 on the Block Tailgate, the three-day event has something for everyone. The event also includes a 420 Challenge where cannabis lovers can compete in axe throwing, nug tossing, and more. Plus, other than 420 on the Block, it’s all free! 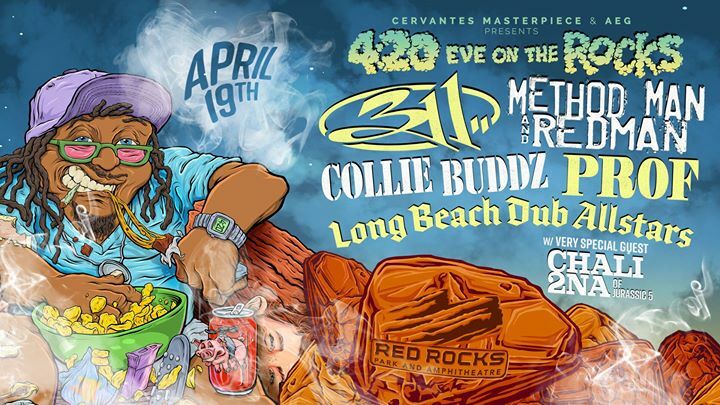 If you’re looking for something outside the city but still 420 friendly, check out the 420 Eve on the Rocks at Red Rocks. Featuring 311, Method Man & Redman, Collie Budz and more, the night is full of cannabis inspired music. While the concert takes place on 4/19 so it’s not the full 4/20 experience, the concert will most likely go past midnight, after which time everybody at the Rocks will most likely start celebrating simultaneously, as if they hadn’t been celebrating during the whole show. 420 blaze it with some of the most well-known cannabis-enthusiastic artists on 4/19 at Red Rocks, ticket prices start at $55. If you’re not into the huge public gatherings where the majority of cannabis tourists will be spending their time, look around your local area. Plenty of dispensaries are hosting their own events on 4/20 through the weekend. 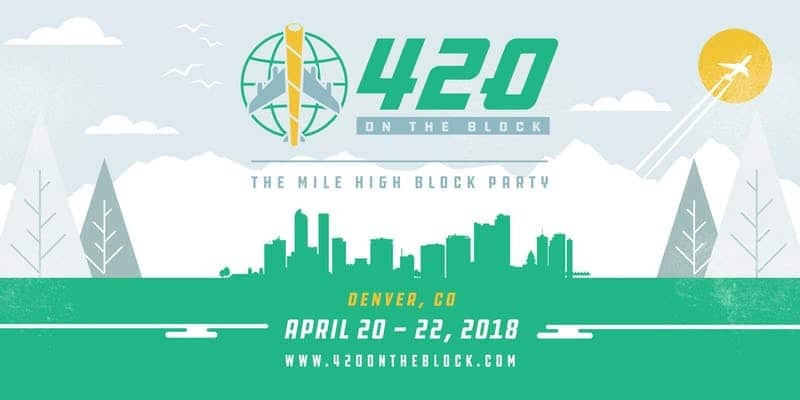 Multiple vendor pop-ups, food trucks, and a lot of the same activities that will be at the Mile High 420 Festival and 420 on the Block will also be around the city at various dispensary locations. Maybe your favorite dispensary is featuring a prominent glass-blower or concentrate brand. Lastly, there is nothing wrong with staying at home and have a nice smoke sesh with friends, or skipping 4/20 entirely. However, if you’ve made it this far in this article and your not celebrating 420, you’re definitely in the wrong place, and you should smoke about it. Happy 4/20 from The Real Dirt Podcast! We hope you all have a safe and lifted holiday. Is there a better time harvest? Plants morning or right before bed time? It depends on your situation. If you’re growing outdoors theres debate on whether you should harvest during a full moon or something like that. With an indoor set-up, just turn off your lights for 24-48 hours before harvest, and you’re good to go, doesn’t matter if its morning or night.